Selected Shorts is a weekly public radio show broadcast on over 150 stations to about 300,000 listeners. It is produced by Symphony Space and distributed by Public Radio International. The radio show is recorded live at the popular New York City stage show which began in 1985 and still enjoys sell-out audiences today at the Peter Sharp Theater at Symphony Space on Broadway and 95th Street in New York City. 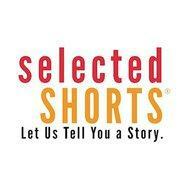 Selected Shorts is one of the premiere reading series in New York City. The Selected Shorts podcast consistently ranks as one of the most popular podcasts on iTunes. There is a theme to each Selected Shorts episode and performance. Several stories are presented around each theme. The stories are always fiction, sometimes classic, sometimes new, always performed by great actors from stage, screen and television who bring these short stories to life. Evenings are often co-hosted by writers, literary producers, and other interesting characters.